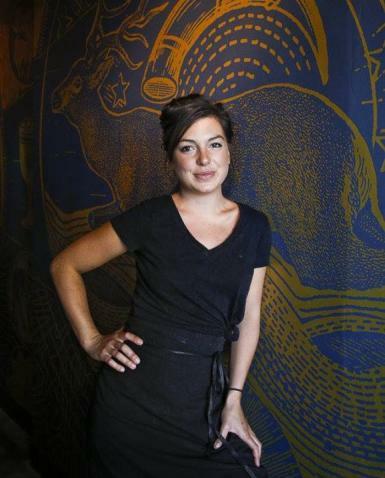 Meet Chef Julie Simon, Executive Chef at Foremost Wine Co.
Foremost Wine Co. in downtown San Luis Obispo. Chef Julie Simon is constantly changing the menu to reflect the changing of seasons and the inspiration she gathers from local ingredients. Find out more about Chef Julie including what she likes to do when she&apos;s not filleting whole hogs and what her favorite trend is right now in SLO CAL. I forged a passion for cooking at a very young age. I was born in a family of epicureans, who love to cook and entertain. They taught their children how to cook, as if anything, it was a survival skill to acquire. The kitchen has always been my home’s beating heart, and that’s always where you would found me, always thinking of the next meal to cook. I had never dreamt to be a chef then. I moved to California from France, 10 years ago, and scored a dream job under Pandee Pearson and Neil Smith at Windows on the Water for the summer. The summer rush over, I just couldn&apos;t return home, I was hooked. What do you like to do when you&apos;re not &apos;cheffing&apos;? Be outside! Some beach, mountain, muddy trail, swamp, snow, rain, sunshine, on a board, on a horseback, sleeping under the stars, wake up in the middle of nowhere, backpacking, I’ll take it all, and as much as possible. Dinner parties, dance parties, bonfires, food fights. I like to read, cookbooks, with pictures, for every recipe. And if I can skim more than two days, on an airplane, onto someone else’s food culture. What is one of your favorite culinary trends you&apos;ve seen in SLO County? Chefs / Restaurant showcasing craftsmanship. Industrialization caused a penury of artisans, worldwide. I know the kind of bread I would like to serve, but even if I found someone to produce it, could I even afford to serve it? Chefs must draw the line somewhere. What will we produce? What will we outsource? You do too little and suddenly you realize you are scoping Sysco’s catalog for your Friday night special. Or, you do too much and the health department gets a call, your rooftop fish sauce project? Yeah, it didn’t work. My point is, we all pick our battles, and I’m so happy to see chefs celebrated for the crafts they dedicate themselves to. 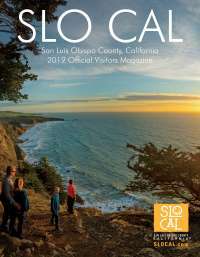 Rather it’s charcuterie, bread-making, butchering, fermentation, foraging or a unique cocktail program, there is more and more to experience in SLO. What inspires you when you&apos;re creating a new menu? You tell me a good story about food. Your grandma’s wild blueberry pie in Maine: your whole life you thought blueberries were transients, you just turned thirty-two and a half, and you now understand how long it takes to gather enough berries for a pie. Grandma loves you, but she is not making it twice for you, ‘til next year. I love hearing people talking passionately about their (food) memories. What is one of your favorite things to make at home? But lots and lots of veggies, at home it’s 99% plant-based. Chunk the carrots, a drizzle of hazelnut oil, crushed hazelnuts, sea salt, toasted poppy seed or sesame, pomegranate seeds (different neighbor). You can do some thin batons of gruyère, comté or crumble some feta cheese. Et voila! What is your favorite thing to make at the restaurant? We recently received a lamb from Windrose Farm. Once all broken down, we rendered all of the fat from the carcass slowly in the oven. I was compelled to do a confit, which I had never done with lamb in that fashion before. We heavy-handedly salted some shanks overnight, to draw the moisture out. And then completely submerge them in the lamb fat (supplemented with some other fat collectibles), Windrose also produces wonderful smoked garlic and tomato, those, go in too. Now low and slow in the oven, until the meat is fork tender (5hours). Pull the shanks. We then crust them with a mixture similar to tandoori, heavily spiced, tones of crushed almonds and garlic confit. Flash them in a hot oven until they get super crusty. The forecast is rainy. Do you need a home improvement project? Make some confit! Head over to Foremost Wine Co for Raw night, brunch, happy hour with the girls or a dinner with your sweetheart. No matter what you do, make sure you say hi to Chef Julie.